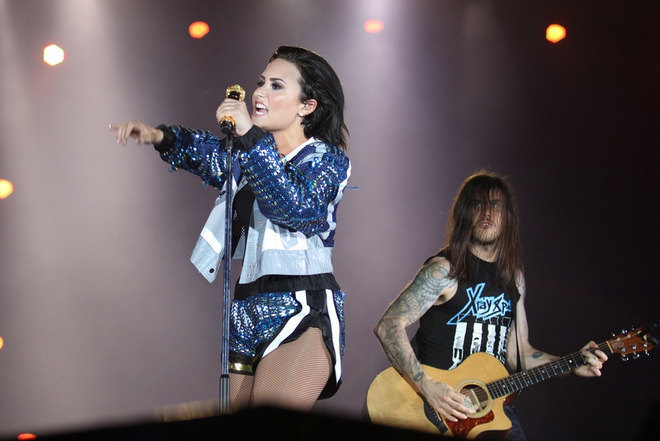 U.S. pop star Demi Lovato on Saturday staged a performance at the second Yan Beatfest 2015, one of the country’s largest outdoor music events, which was held on May 10 at Phu Tho Stadium in HCMC’s District 11. 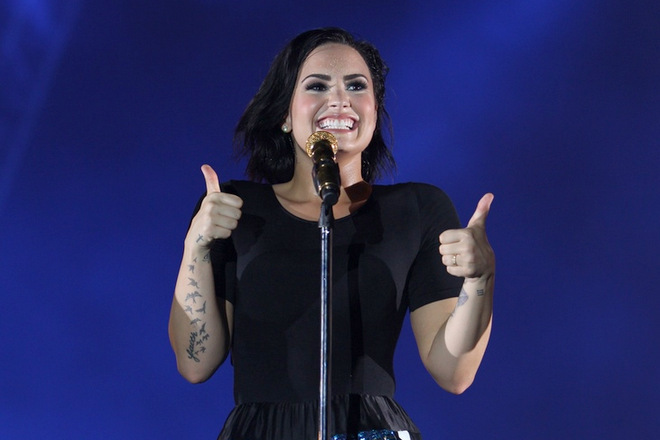 Lovato was the last singer among 80 artists to perform at the 12-hour music festival. 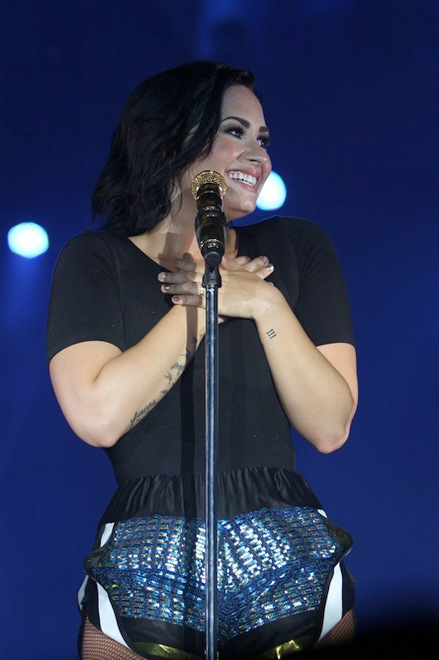 She showed her strong and vibrant voice in ten hits, Really Don’t Care, The Middle, Fire Starter, Remember December, Heart Attack, Let It Go, Warrior, Skyscraper, and Give Your Heart A Break. 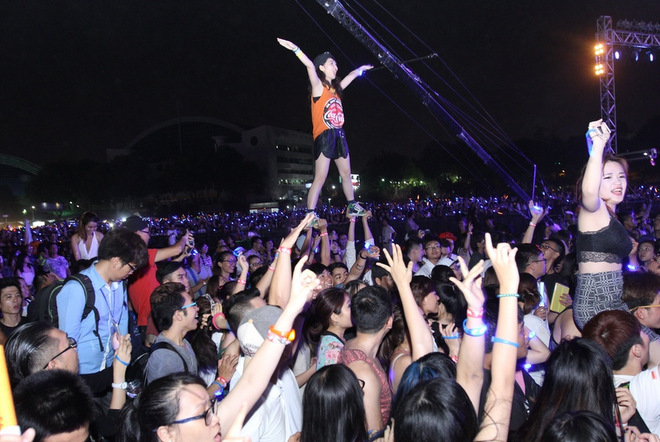 Audiences also had a chance to watch her images in charitable activities which was broadcast on some giant screens at the stadium. 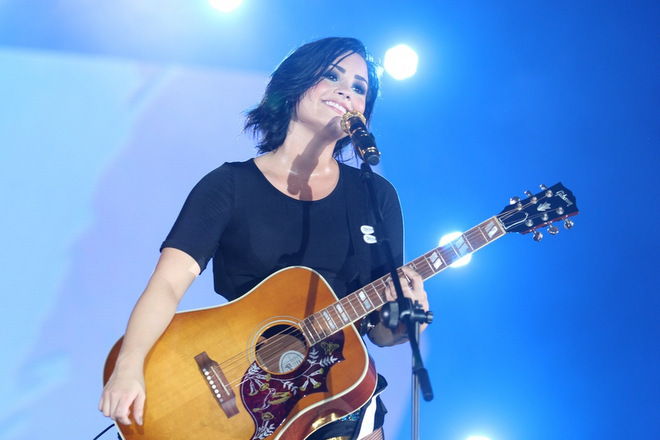 Prior to the performance of the song Warrior, she told the audiences that everybody might have been through some difficult times and she was not an exception. However, she would never let those things stop her moves. 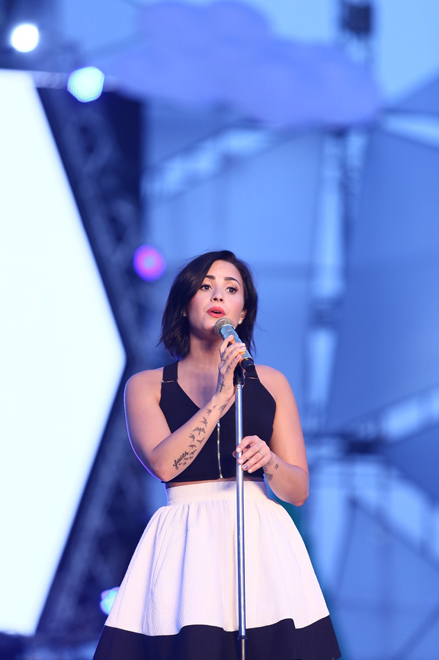 The singer said that she has tried her best to become a strong warrior like today. 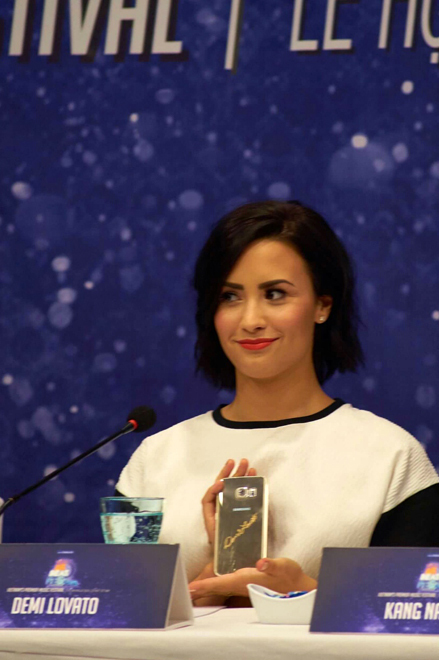 And she knows that everybody who is at the event all have a warrior hidden in them. 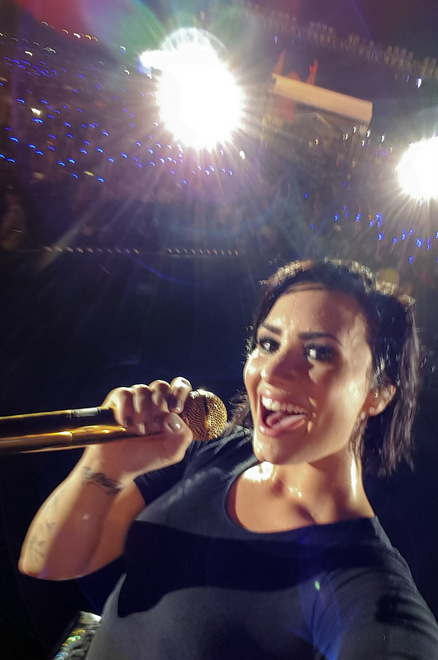 Lovato joined two local MCs Thuy Minh and Tung Leo in a selfie with over 50,000 spectators. 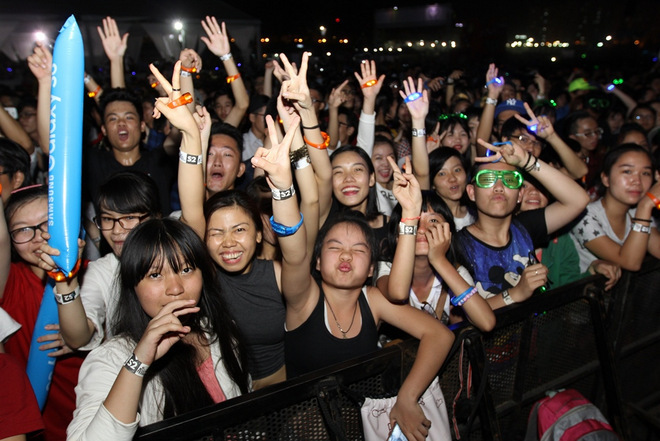 Apart from music performances, the festival hosted by Yan TV, a local channel for young audiences, featured numerous sports games, entertainment activities and food and beverages to participants.